When in your life did you feel most connected? What did it feel like? What was happening in your life when you felt most connected? What did it enable in your life? Are your feeling connected now? What will you do to regain the feeling? Everyone in the world wants to feel connected. From the moment we separate from the womb we subconsciously crave connection. The human brain is known to inspire an ego rooted sense of separation. This gap between what we want and our brain’s default pattern causes anxiety and suffering for many. The further from our healthy core values we live, the more we disconnect from ourselves [our souls] and those around us. This suffering helps corporations and organizations attract billions of connection seekers to their products and communities, many of which are harmful for bodies, minds and souls. Ever see a frowning person in a Budweiser commercial? Heck no, beer commercial protagonists are generally scoring hot co-eds and leading the happy pack. This suffering helps drug dealers, gang leaders and other false cure toting self-servers lure connection seekers into revolving doors of suffering made to look like gateways to wholeness and belonging. Cold beer may quench a post lawn mowing thirst in the summer, but it’s not a recipe for holistic and sustainable optimal living (Belief Energy). Operating without a deep sense of connection causes a range of sub optimal mental states for people ranging from subtle disenchantment to extreme mental illness. Most folks are living day to day, but are not fully alive. They are simply going through the motions in a numb state. I can confidently say there are healthy paths away from suffering. I hope my definition of “Connected” and the list of things that have me feeling it currently listed below will inspire you to pick up a pen and start writing your own definition and lists. 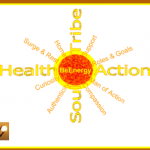 Better yet, I hope what I’ve written below helps you build a plan and start experiencing optimal living and a deeper sense of connection (what I call Belief Energy). living mindfully in soul, thinking and acting with Compassion & Authenticity. with my tribe (family, friends & colleagues), feeling Supported & Home. in mental & physical health, Curious & Surging/Resting. saying “yes”, as a Man of Action with a Role & Goal. I sometimes fall into a selfish pattern in which I briefly lose contact with vulnerability and softness. I get stuck in a pattern of hyper productivity and multi-tasking. I let fear and adrenaline join forces. It helps me survive the stresses of life, but also drags me away from the core of what’s most important to me. It causes me to get a step further away from those that I love most. However, these periods are often short lived and serve as lessons as opposed to long-term Belief Energy draining obstacles. not ruled by fear AND aware of its value. leaping out of bed ready to see what’s in store. able to stop the mental cyclone & connect with the present. grateful for unconditional love that surrounds me. magnetizing the right feelings and people. honest with myself, my family, friends & colleagues. quick to hike or run in the woods with my tribe. constantly learning by asking questions and seeking answers. making as many healthy choices as I can. hosting a conversation that enables people to experience optimal living. building a business that enables positive social change (my passion). The more I live in my values, the more Belief Energy and connection I have. The more Belief Energy and connection I have, the more I live in my values. It’s an unbeatable cycle. Write down your definition of “connected”. Write down a time in your life when you felt most connected. Journal as much detail about it as you can. List the things that supported this feeling. List all the things that cause your current sense of disconnection (from yourself, your tribe and the broader world). List out or refer to your predetermined Core4 values. List all the things you can start or restart doing day to day to live in your values and reignite your sense of connection. Take action, even if it’s baby steps. Share the progress you made on the Belief Energy facebook page for thousands of people to learn from and celebrate. The more I ask people questions about optimal living (Belief Energy) and the more they experience it [feel connected], the more I do. Compassion is a beautiful thing, isn’t it? This entry was posted on August 15, 2011 at 8:00 AM and is filed under Belief Energy. You can follow any responses to this entry through the RSS 2.0 feed. Had to move 400 miles to reconnect with my core values. Connecting beautifully on professional level. Taking on yer assignment to achieve better connection socially and, more importantly, intimately. Incredible breakthroughs and growth await you in your sandy paradise, JV!